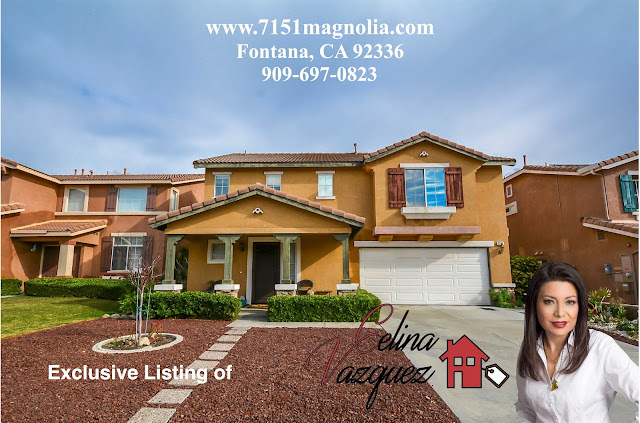 7151 Magnolia Pl Fontana CA 92336 Rented in Just 2 Days – Celina Vazquez Broker/Realtor of Realty Masters & Associates Rancho Cucamonga presents this gorgeous two-story family residence located in the Silver Ridge Community of North Fontana. The home features 3 bedrooms, loft, formal living room, and large family room with open concept to the kitchen area, 2.5 bathrooms and 2-Car Garage with direct access. Looking for FREE Evaluation of your Home Click Here! 7151 Magnolia Pl copy from Celina Vazquez on Vimeo.